Stepping forward and stepping up in life can require some tough choices. Often we can let opinions and fears of our surroundings hold us back from our greatness and possibilities. When we take the leap of faith and step forward and up, we may have to let go of things and people that aren’t moving in the same direction. Although we can be kind and loving towards others and their dreams, they may not be in a place that is aligned with where we are going. Think about your life as a boat ride. You will meet people along the way. Some will travel long distances and some will get off at stops you make along the way. You will have old friends and new. And each will have a different purpose and time limit that they will be on your boat ride. When we can allow others to come and go as they need to for their own journeys, we can free up our own powerful creative energy to accept the gifts for us. We can get distracted in the judgments of our expectations over allowing growth and change. When you go on a journey, you rarely end up staying the same. You learn, grow, and often see things from a different perspective from the experience of life. So as you change, so will those around you. We often think we have to lift and carry everyone in our paths and secure a seat on our boats in life. You can find some peace knowing that they are where they need to be and it may not be your boat through your entire journey. As we learn and grow, at times we must let go of things, people, and paths that don’t serve our higher purpose. It’s not always easy to let go of people and things when the time arrives to move forward. I have found that each and every one of the paths that have crossed in my life were meant to for a reason, but sometimes that reason only lasts for a season. We teach one another some valuable lessons, but not everyone has the same dreams , goals, or intentions as you. They may continue their travel towards another path up a different mountain. I know when I look back on my life, I have had many people and things come and go in my life as I have made transitions in careers, goals, and dreams. It can take some practice to get used to, but I have found over time that they were always blessings in disguise. Life can beautifully arrange events and replace with better things aligned with your dreams. Sometimes the people in your life will journey in a different direction than you. It’s a natural transition and often rigged in your favor. As we grow and step forward and up, we are not going to be able to take everyone and everything in our life with us. They may have a different purpose, yearning, or drive that won’t fit on your boat in the journey. I found that if you can trust the beautiful process of change and letting go, you can soar more effortlessly. I know at times when someone or something has moved on that I didn’t understand it at first and felt tempted to let my feelings get hurt. It took me some time to learn what insecurities were mirrored and what I could work on over time. Also it was generally always for the best. As usual I have found life disguised as a bit of a mystery, but when I trust what is moved out, better is always moving in. When we fight and resist the change, we ultimately hold ourselves back from the greatness that is working on our behalf. You won’t always recognize or receive the explanation at the time, but when you can move forward and step up in faith, time will reveal the blessings. Nor will it always be easy to let go. To help the process of moving forward without our comfort zones, I find it helps to remember the way is being paved for your next steps. The more you can trust what is clearing away, the easier it can be to recognize what is coming. As an old saying goes, “It’s hard to catch something new when you’re too busy holding on to all of the old.” Sometimes we need to lessen our grip and trust that what needs to go, will. That makes room for what you have been waiting for. Some people and some things that are aligned with you will continue on your journey and some will naturally fall away. It’s learning to react less by what falls away and trust more in the unfolding process. We may not understand the letting go and remaining calm, but the more you can trust and allow, the easier it will be to flow. The same growth you experience may also lead others on a different venture than the ones you met them on. Kindly bless them and let them go. For they will meet and receive the people and things needed on their own journey. As you loosen your reins of expectations, you allow more of the people and things you need for your own. So ultimately letting go is good. It helps you in stepping forward and stepping up in your own life. Often I hear a common goal among clients that they are seeking joy and peace. When we are missing something or needing more of something in our life, we may search and seek for it outside of ourselves. In circumstances, jobs, and people. Often people believe if they have the dream job, the perfect lover , or perhaps better circumstances, then they will have joy and peace. Did you know that you can have joy and peace before you accomplish your goals, improve your circumstances, or meet the right person? Whether it’s simply how we are taught, or habits we have adopted, we can get our leverage backwards. When you can focus on joy and peace now, you create a better atmosphere and vibration to attract and receive more to be joyful and peaceful about. And the wonderful thing is, you can obtain joy and peace regardless of your current situations. How much you practice feeling good, being grateful, or thinking positively may determine how and where you can focus more. If you practice seeing the good in most situations, I would bet you understand and have noticed the power in your leverage. You can have a negative situation or an unexpected/unpleasant event happen and still manage to find something positive and good within it. That perspective helps you be at peace even when some unpleasant things happen. If you are a bit new or unpracticed at seeing the good in situations, you can practice your focus in ways that benefit you better until you are more seasoned. When you are focused too long on a worry or problem, you give more leverage to the issues you want to see change. There are many ways to change the momentum, and what works for you may be different than what works for another. One simple starter is a break. Especially if you have been very consumed in thought by a worry or problem. Meditation is a good tool to help you clear some thoughts and step away from that energy. You could take a walk, watch a funny movie, or perhaps do an activity that enables your mind to get lost in what you are doing. Activities that can break the focus and momentum of stress and worry can give you great leverage towards change: change in your brain, change in your perception, and change in your energy. Once you take a step back from the momentum of the stressor, you can allow more joy and peace into yourself. Once you can allow more joy and peace in yourself, you have greater power and leverage over the unpleasant situations. You allow more space to receive more clarity in the situation. The shift in energy could spark an idea that you’ve been waiting on, or perhaps even lead you to stumble across a solution. I use to have a client with a very high-stress job who was responsible for making decisions that would heavily Impact many people in his community. Often in his position, he was presented with problems to solve with delicate and ethical considerations. I always noticed he was diligent about taking care of his well-being and approaching life positively. Those actions in themselves can take one very far, but with his high demanding job, he often utilized many tools in his belt. We often swapped ideas and learned much from each other. Once he shared a trick I had never heard of. He called it “art staring.” He would stare at piece of art for hours at a time. To me this is just another form of mediation, but it really worked for him. Not only could he use his time as a break from the stressful problems, but as he was able to enjoy a beautiful piece of art. He also allowed time and space for his brain to offer more clarity, solutions, and peace. From this space of peace, he could return to the job, stresses, and demands with more leverage to solve and tackle the problems. I remember a few times this same client would relax during his massage so deeply he would receive answers he was looking for. They came to him by relaxing and letting go of the focus on the problems. The idea is to remind you that you can seek joy and peace in your life now, today! You not only give yourself more leverage, but you don’t have to solve the problem to experience the peace. The focus of joy and peace are what you can do now within. And that energy will connect you to the clarity. Living in today’s world, we get very plugged into our technology and often do not notice ourselves getting out of balance until something major gets our attention. It’s not just our technology, but our stressful lifestyles and addictions to busyness as well. Often in our culture, I notice that we wear our busyness like a badge of honor. All the while our “selves,” time with family, and rest suffer and get chipped away over time. I think as people deal with unexpected or inconvenient issues such as illness, unhappiness, and stressful jobs, we are becoming more aware as a society.. We seem to have more advancements, more options, and more education than we ever have before, but we are getting sicker, more tired, and more stressed than ever before as well. The good news is that I believe we can balance so much more than we do. It may require some awareness and action, but the opportunity is there. Some of our technological advances can be helpful to you as well. It can buy you some time and space for the boundaries to balance. It is an invitation, but you have to accept. I first encourage you to let a few of these advances work in your favor. We have the option today to set many boundaries to unplug a bit more each day. We have voicemails, message alerts, and ways to manage us being away more than the need to be plugged in all the time. Years ago, before voicemail and answering machines, we had busy signals. When we called someone and reached a busy signal, you had to try again later or wait until we saw the person again. You now have many more options at your disposal to use. Nowadays, we can screen some calls and set up messages for our family, friends, and colleagues to set some boundaries for ourselves. The problem is not setting any. In case you haven’t reminded yourself lately, you do not have to be available 24 hours a day to everyone. And when you get your messages you can return them when you are ready. Introduce some balance in your life by setting some boundaries between yourself and the overstimulation and connection to everyone you know. One of the easiest and quickest ways I receive more balance is going outside and connecting with nature. Connecting with nature, connects us within. 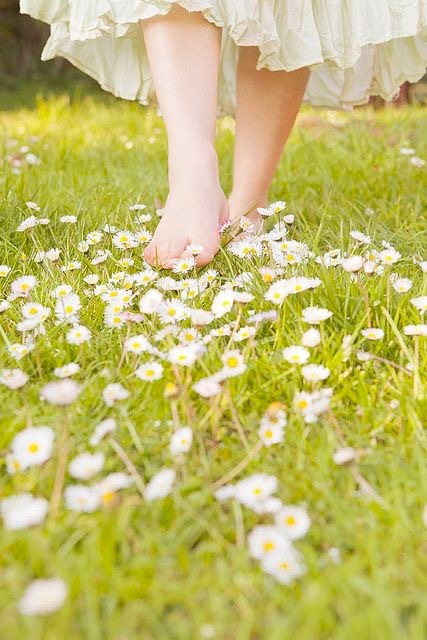 Walking barefoot in the grass, lying under a tree, feeling the sun hit your skin, planting seeds or flowers in the ground, listening to the birds, or simply sitting outside taking deep breaths of fresh air all raise your vibrations. The more we tune into nature, the more we increase our own frequencies. I’ve heard some people use a popular term “earthing” to connect to the ground and nature. Basically my understanding is it’s done simply by walking around anywhere outside barefooted. All I know is that I have been doing it since I was a kid and it has always balanced me. I am more in tune, intuitive, and inspired when I take the time to be in nature and connect. I write often outside and become generally more productive. Some of my best ideas and clarity come from relaxing outside. I often tell my family I am solar powered. I have to recharge outside in order to function in the world. You are not just connecting with your own spirit, but you are connecting with the whole. When you can connect with the whole, you are more powerful and tapping into infinite intelligence. Connect more and unplug more. You are not only doing it for yourself, but you are doing it for the whole world around you. Allow yourself connection with your center. Nature has a beautiful way of helping us do that when you take the time. 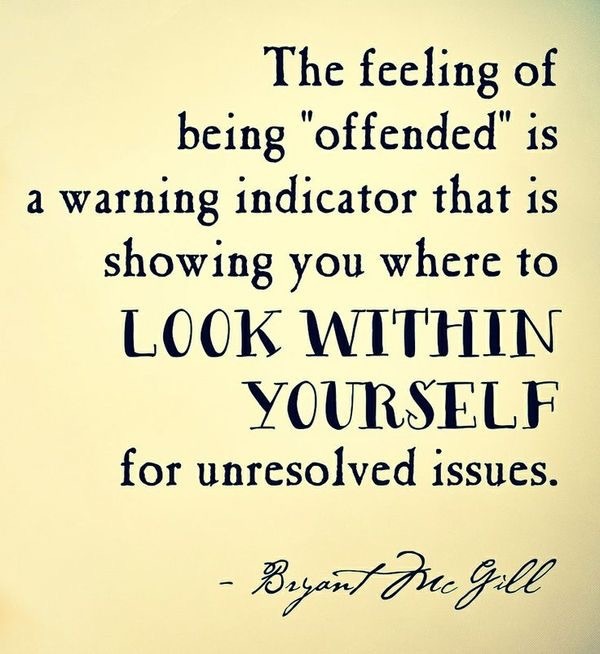 How often are you feeling and acting offended ? What if, instead of bombarding your brain with the usual negative news stories and angry arguments on social media, you took a day or two to focus on more positive stimuli? Set a goal of a time frame to play with. Perhaps you’d like to start with a day. If you could refrain or limit yourself from following the news, dramas, and protests on the Internet or social media, you might experience a dramatic improvement in your mood. You may have to take a small technology break if you are unable to set boundaries from upsetting news or offensive subjects. The idea is to shift some of the energy you may be using daily from stress, worry, and drama to love, joy, and peacefulness. Many people may not know how to create that type of day, but there are many ways to go about engaging yourself in more positive energy. It takes a decision or intention. It takes being more aware of our reactions daily. When we are constantly filling our minds with the atrocities of many events in the world, along with worrying about stressful scenarios, you are contributing to and experiencing unpleasant energy in the world. As much as news reports focus on bad things, it’s easy to forget that good things are happening in the world at the same regularity. You may have to look for them and respond less to the negativity coming through your screens, but they are there nonetheless . The energy you absorb and create with your feelings not only affects your experience in the present, it also has a large impact on what you attract into your life. When you take offense to the perspective of another, you attract more things to be upset or offended about. Are you praising and being grateful throughout your day? Or are you upset and offended by your surroundings? What energy are you a bigger part of? Once you are a bit more aware of how you are vibrating, you have more choices and control of what energy and emotions you want to dance with more in your life. An easy start for receiving more positivity is doing some random acts of kindness. It can be random, or just taking the time to be more thoughtful or helpful to someone in your life. Not only will it uplift someone’s energy, it will also uplift your own. I’m not even sure if it’s a more joyful experience to give a gift from the heart or to receive one. I think it can be a close tie in many situations. As much as we feel good on the inside to give, some of us need to learn to receive as well. When you are not open to receiving help, love, or a gift from another, you are stealing their joy and opportunity they need to give as well. Many times we let our ego be more prideful and refuse help, therefore blocking love from ourselves and others. To help another or execute an act of kindness, we need a giver and receiver. When you are always the giver and not the receiver, you set up an emotional imbalance. You block your own gifts of receiving and are less helpful with yourself and others. It helps to be more open with the energy moving in both ways. Start with a list of things you can do in your day and upcoming week. If you have financial restrictions, you can do simple things like being patient and kind at the store, presenting the best version of yourself to anyone you come into contact with, holding a door for someone. You can do some simple things like…offering a smile, noticing an elderly person near you that you could run an errand for, helping with someone’s yard, or visiting someone lonely . Once you start thinking in small terms, you can come up with many little things you could do that would lighten another’s day and help your own energy. Even more fun (if it’s an option for you) would be to make a care or gift basket for a friend who has been struggling with something. Buy movie tickets and babysit for some parents that do not get the opportunity to get to go out often. Cook dinner for someone’s family. Take a friend or a colleague some coffee or goodies on your way to work, or perhaps give those you work with something that lets them know they are appreciated. Any of these things goes a long way. Doing them will allow you to uplift the spirits of others and perhaps inspire them to do the same. You may inspire them to continue to pass the kindness along, effecting more kind acts onto the world. All the while lifting yourself to higher vibrations. Those vibrations contribute to your experience and the world we live in. Ask yourself, what do you want to contribute to yourself, your friends, your family, and your world? It starts with how you use and consume your energy. Try for a day, or two, or a week to be less offended and more kind. See what it does for your life and joy. I remember as a kid, the excitement of contemplating or going on an adventure. Perhaps as an adult, you also crave adventure. To me an adventure is the exploration of unknown territory. The fun and excitement come from not knowing what all you will see, experience, do, or feel. 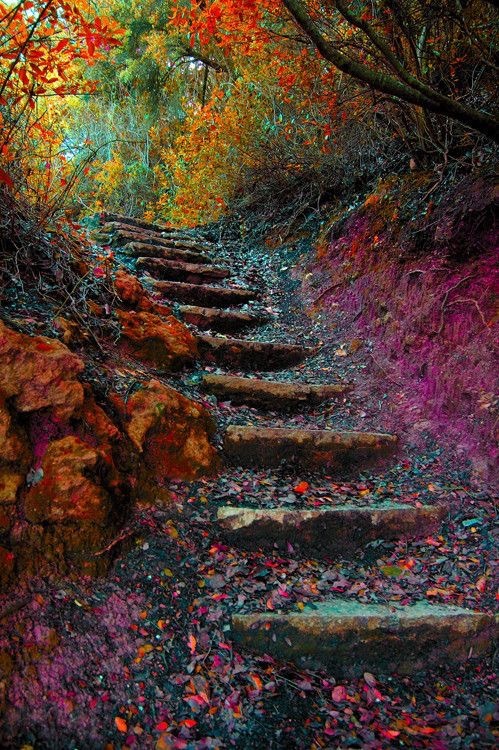 You may have a destination, route, or idea of where you are going, but the adventure is not mapped out each step. An adventure has twists, turns, ups and downs. It may have obstacles, unexpected surprises, and changed perspectives from the experience. It’s where our stories come from. Life experienced. And, LIFE IS THE ADVENTURE! I think we can get caught up in our heads about how we expect the details of our life to unfold and rob ourselves of the curiosity of the adventure. When we look at life through the lens of excitement, enthusiasm, eagerness, and anticipation we get out of our own way and into possibilities instead of killing it with standards, doubts, worry and expectation. When we can let go of how things should go and allow the trails to light up, we dance with the greater energy of the universe. We let go of the limits that holds us down in life. We often are the ones who hold ourselves back. You can’t control adventures, and you can’t control life. You can, however, dance or oscillate the energy in how you experience it. As we journey through life, we are on an endless adventure. We will continue to expand, evolve, grow, and unfold into new understandings and perspectives. Life never stops moving and we never get it done. We often focus on endings, but life continues to move regardless of the place in the chapter. Even if you come to an end to something, life moves on to the next thing/chapter. It can be the next dream, idea, or goal, but you will always be moving on to another experience. Just like a day, a vacation, or an event has ended, you will move on to the next or another. 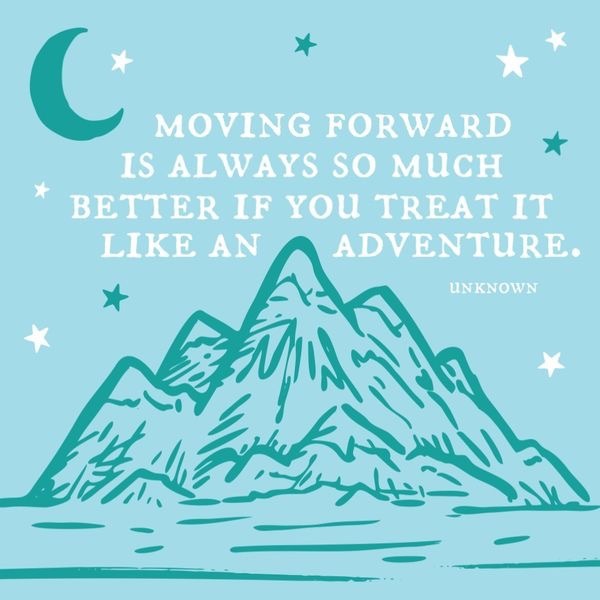 Since life doesn’t stop moving and is the adventure, our perspective is the power we have in how we choose to experience it. I find it easier to scale back understanding to small examples. For example, how do you look at your adventure? Perhaps just by each day. Do you wake up and pick up the problems from yesterday? Do you dread or worry what might happen or what might be said? The energy you project into your experience affects your outcomes and adventure. If you can start your day with some enthusiasm or excitement, you can positively attract a better experience than you could have planned. Rather than watching the news before you embark on your day, arguing with your family, or stressing yourself out, you could start your adventure with more positive energy each day. You may need to adopt new or better habits to start with. Try some things that make you happy, peaceful, or joyful before you allow the energy of the world to affect your adventure. When you can deposit fun, eagerness, and excitement for your day initially, you set the stage rather than reacting to a play set forth by others. Be picky about how you start your day. Be selective in the tone you set. You have the capability to choose the perspective you set forth. You select it with your thoughts, feelings, and habits each morning. Enjoy life. Be open to the adventure… Allow the energy of your life to line up with cheerful, favorable, and joyous experiences. You do this by being less cooperative with pessimistic, gloomy, cynical, or naysaying feelings, thoughts, or people to begin your day. Lighten your load and radiate more excitement for possibilities. Every day, Life is an adventure and should be treated like one. Do you depend on anyone outside yourself for happiness? Meaning, are you happy based on how other people treat you? When we let reactions from other people control our emotions we give our power away. It’s a bit like bouncing around bumper cars when your reactions feed off how other people treat you. When your foot is no longer on the gas or the brakes , you give more control to the bounce. A little secret is that other people cannot be responsible for your happiness. They can only be responsible for their own. I often hear people complain about how their mate, family, or friends treat them. Do you ever catch yourself saying or thinking if only they would treat me better, I would be happy? When you hand over your happiness based on how someone else treats you, you will have a difficult time maintaining your happiness. It’s about as predictable as the weather. You really do not know for sure how the wind will blow. The good news is you can be happy regardless of how anyone else treats you. We aren’t often taught that when people react towards us it has less to do with us, and rather is a reflection of how they feel inside. I find some peace knowing I can’t make other people happy either. That would be a tough job to think I was responsible for the happiness of others. You could never fully keep up. It would be exhausting trying to keep any one person or group of people happy. Happiness is an inside job for each of us. That is a breath of fresh air to me. Knowing this can lighten your load. The happier you are, the more joy you can bring to the table of life. Do you enjoy being around someone who is generally happy, or do you prefer someone who is moody and complains often? Your mood can be uplifting to those around you or it can be a downer. How other people feel and respond to you is up to them. If you are generally a joyful happy person, you’ve probably practiced it for some time. You can come across a grouchy negative person and not be pulled down. 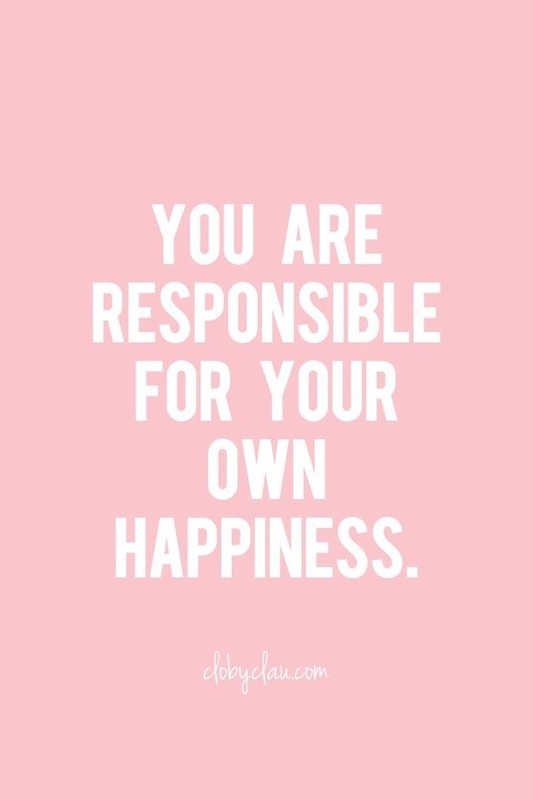 Mainly because you are in control of your own happiness. If you haven’t practiced your footing, and come across a negative upsetting person, you can be easily swayed and pulled into an unhappy state. If you find yourself getting upset, put in a bad mood, or letting others hurt your feelings easy, you just haven’t practiced the inside job enough. You are giving your power of emotion away to someone that can’t maintain your joy for you. When someone says something that you find hurtful or offensive, don’t take it personally, because it’s reflective of their own different point of view. Meaning they are limited to what they know and what is inside your heart. They are showing you what is inside theirs. The next time you find yourself upset from what someone has said to you, take a step back and ask yourself what caused those feelings. Notice the energy and the power you give them by being upset. We can step back and realize that we all have limited perceptions of things and when we react towards one another, we may be working through some things ourselves. Before you give your peace away, consider not taking reactions from others personally. We often work from subconscious levels and may not realize what we are revealing to another. How you react back and respond reveals what you have on the inside. 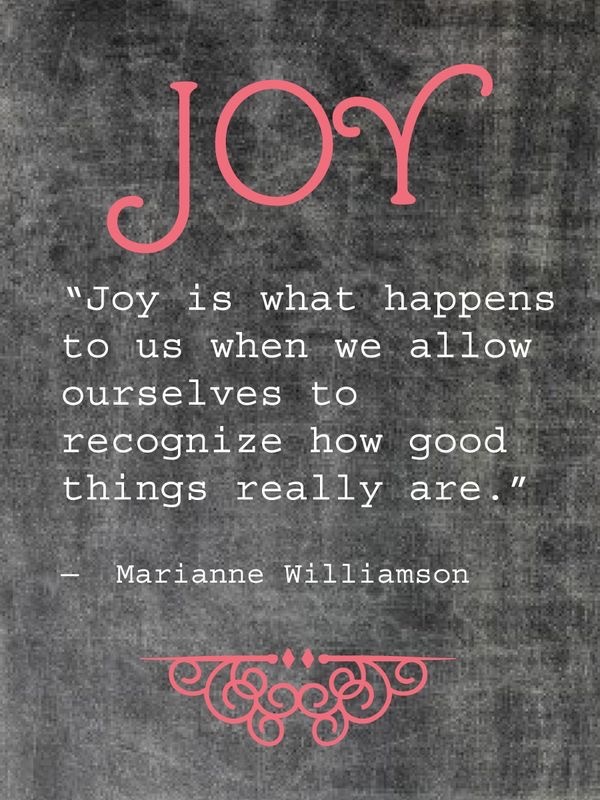 Hence happiness and joy are an inside job. Only you have control over those emotions, unless you choose to give it away. The choice is yours. If you are not used to feeling grounded and happy, it comes with practice. Every day. The next time you feel you are allowing someone’s actions or words to upset you, step back and choose your emotions according to how you want to feel. You do not have to allow them your peace. You do not have to attend every argument, disagreement, or tongue lashing you’re invited to. The argument is really within themselves. I encourage you to try to be more aware of your feelings and responses to others. It can build your sure footing in happiness and joy. You can be kind to another even when they are having a bad day or suffering. You do not have to allow their energy to over take your own. Perhaps if you get good enough at it, your positive energy can bring theirs to a higher level and provide them some relief. Love is a stronger energy. If practiced enough, we have the power to not only heal ourselves, but be a pioneer for others. Rather than depend on others for happiness, give the power of your happiness back to yourself. Redirecting our energy to the way we respond to people, events, and circumstances can help us have better control of our energy and vibrations. If you have ever studied the law of attraction, then you are familiar with “like attracts like.” The belief is based upon the ideas that people and their thoughts are both made from energy and that like energy attracts like energy. It is one thing to have came across this mode of thought, but another to understand and practice this belief. It has taken me years of reading many books, listening to many documentaries, and listening to lectures to deepen my practices and understanding. Habits can take some time and momentum to change. To adopt this as a beneficial way of life and to change your habits to more positive ones takes some daily practice. I’ve read studies that it can take 21, 30, and up to 41 days daily to change into a new habit. The reason I listed three is to reiterate that there is more than one study, science, and opinion on the exact number. Personally I think it’s different for everyone. Some habits I have been able to change quickly. Some have definitely taken me more than forty one days. The main point here is, now that you’ve decided to create some change and new habits, I want to remind you not to give up because it can take some time. When you have practiced a habit that you don’t feel is good for you, it’s still easier to fall back into rather than to reinstall the “new” one. We operate so often by our “auto-pilot” minds because it doesn’t require paying much attention. We’ve done those habits so often, we can practice them without thinking. Implementing a new habit requires us to do it often enough that we download the new programming into our auto-pilot category. Then eventually the new habit becomes easy and we don’t have so much retraining. How we respond to people, events, and circumstances is giving a kind of energy out into the universe. We may not have control over how someone has acted, what event has transpired, or what circumstances may currently be in place, but what we do have is a choice in our reactions to all of them. Someone could be hateful to you, but it doesn’t mean you are required to be hateful back. You can choose to, but the choice is up to you in how you respond. You may have practiced it so much that it is like a reflex response, but it really is a habit you have practiced enough that it is now your auto-pilot. For example, I think about toddlers pitching a fit in the store when they didn’t get a toy or food they wanted. Some moms will ignore it and walk away. As a mom, I’ve tried this too, and it really helps to dissipate their tantrum. Now your kid may embarrass the heck out of you, but they generally do catch on(perhaps eventually) that their fit will not get their way. The momentum seems to fizzle out and they move on to something else. I’ve noticed it works this way with energy and the law of attraction. I guess you could say our children are mighty teachers. Let’s apply this thought as adults. There are times people may not treat us as pleasingly as we would like. We might be at an unpleasant event, or perhaps experiencing some unpleasant circumstances. We have the choice to flail and throw a tantrum (like the toddler) or we can redirect our energy to fizzle out the unpleasant momentum. When you feed energy that is very displeasing, you are actually radiating energy for more unpleasant situations. When you apply the law like attracts like, you are giving your power to the momentum of the flow. It might take you some practice or thinking before you react, but you have a choice in redirecting your energy. So if you would like more pleasing and positive circumstances, the best gift and power that you have in the moment is to stop feeding it like energy. It helps to be a little creative, or practice being more joyful, patient, and understanding to integrate the new habits. An exciting point is you have the ability to co-create with the laws of the universe to attract better situations and events in your life. Especially by how you respond to the energy you are interacting with each day. Paying attention to how you react and respond to people and situations helps you direct your energy and outcomes towards your intentions. Simply ask yourself what you would like to attract more of in life. That is where you want to steer your energy. 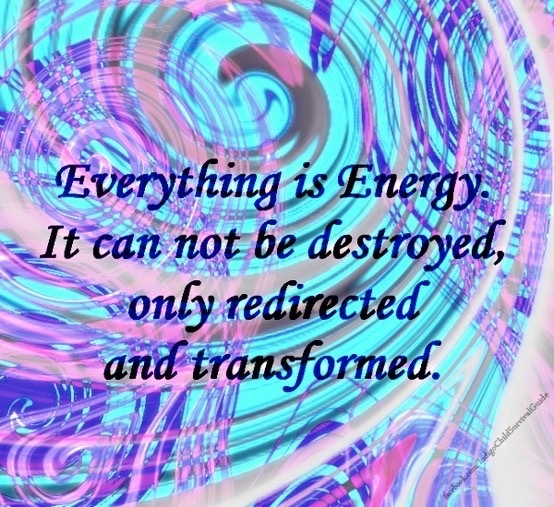 We all have the power to redirect our energy. And the power to choose.